Djokovic was in a commanding position with his pocket aces. The flop came [7c][3c][2d], eliminating Galonek flush possibilities but pairing his seven. The miracle card came on the turn when the dealer put out the [7s], giving Galonek trips. The river was the [2c] and Galonek ran down Djokovic's aces to win the pot and eliminate Djokovic in third place. The board came [As][Jc][5s][5h][Qs] and Galonek's hand held to win the pot and eliminate French in 4th place. Ben Little moved all in from under the gun for his last 112,000. 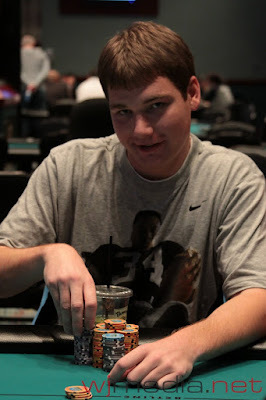 Steven Tabb made the call and then Jacob Bazeley moved all in from the big blind for a total of 188,500. Tabb made the call and the three players flipped up their cards. Bazeley was in perfect position to more than double up and eliminate Little. However, the board ran out [Kd][Qh][6d][9s][8c], giving Tabb a set of queens. Tabb had both players covered and eliminated them both. 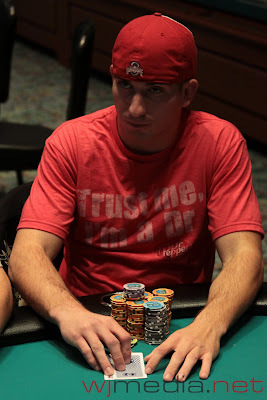 Little finished in sixth place for $15,958 and Bazely took fifth for $19,398. The board came [Kh][5c][5s][Tc][Ac] and Tabb made a better two pair to eliminate Hunichen in 7th place. 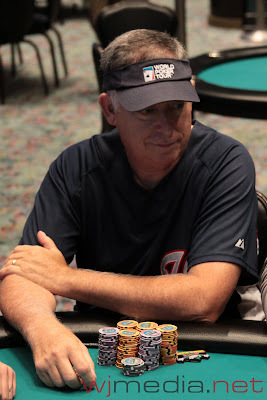 The blinds are being increased to 3,000-6,000 with a 500 ante. $400 Limit Hold 'em/Omaha Pairs Final Numbers! 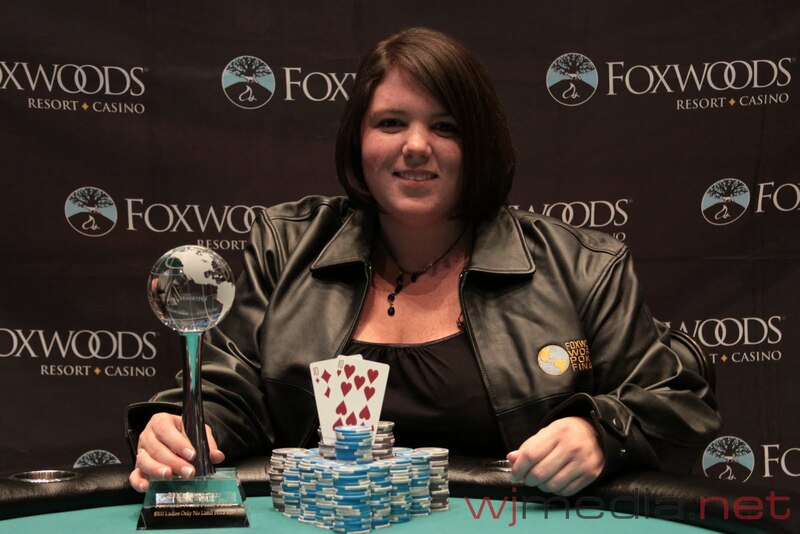 We had a total of 37 teams in the $400 Limit Hold 'em/Omaha Pairs Event at the Foxwoods World Poker Finals. There are currently 46 players remaining in the $1,000 No-Limit Hold 'em event. Novena had paired his jack but Little had the ace. The turn and river bricked out for Novena, sending him to the rail in 8th place. The board came [7h][3d][2h][5s][4c] and Galonek's aces held to eliminate Adams in 9th place. Vanchiro was in great position to double up until the board ran out [Th][8h][5d][Td][9h]. 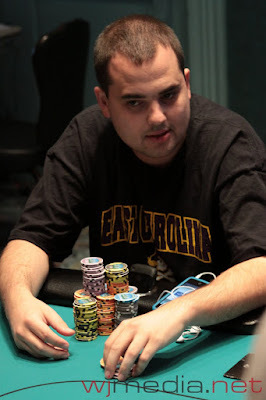 Bazely paired his eight to win the pot and eliminate Vanchiro in 1oth place. $2,500 Final Table Streaming Live! The final table of the $2,500 NLHE event is about to get underway. Just click "Watch LIVE Video" at the top of the screen to watch the live feed. We are down to the final table of ten in the $2,500 No-Limit Hold 'em event. 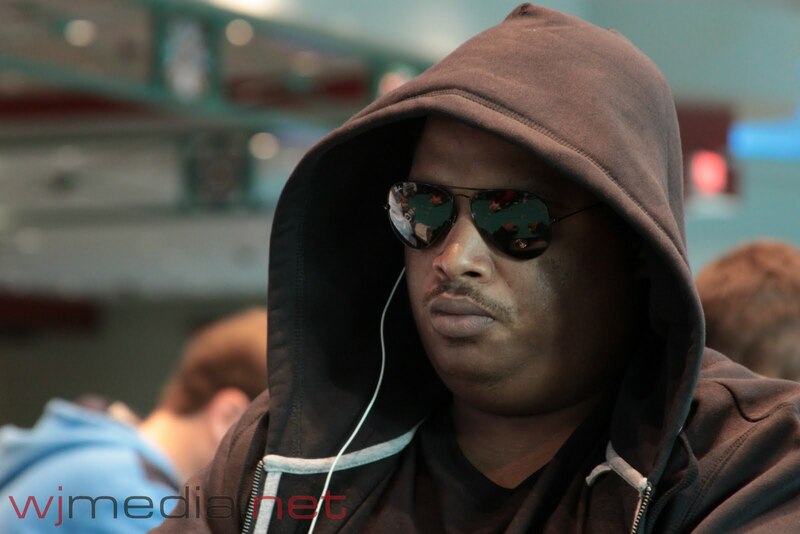 YouTube video: The Bubble Hand of the Foxwoods $2,500 NLHE Event. With 16 players remaining and only top 15 spots finishing in the money, the last player is eliminated in the Foxwoods World Poker Finals $2,500 NLHE event. All players are now guaranteed at least $4,814. 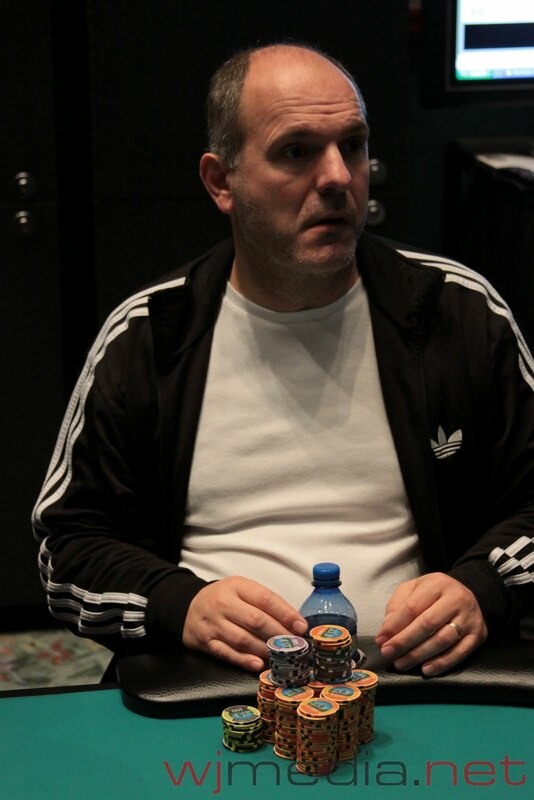 The Bubble Bursts in the $2,500 NLHE! 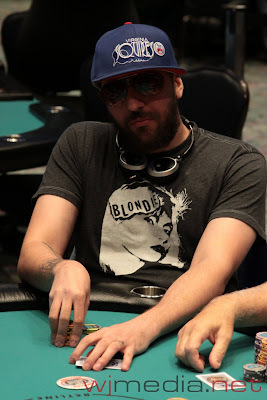 We are down to the final 15 players in the $2,500 NLHE event and in the money. All players are now guaranteed at least $4,814. $2,500 Streaming Live Near the Money Bubble! With only 17 players remaining and top 15 finishing in the money, we are approaching the money bubble in the $2,500 No-Limit Hold 'em event. $400 Limit Hold 'em/Omaha Pairs Underway! The $400 Limit Hold 'em/Omaha event is now underway. 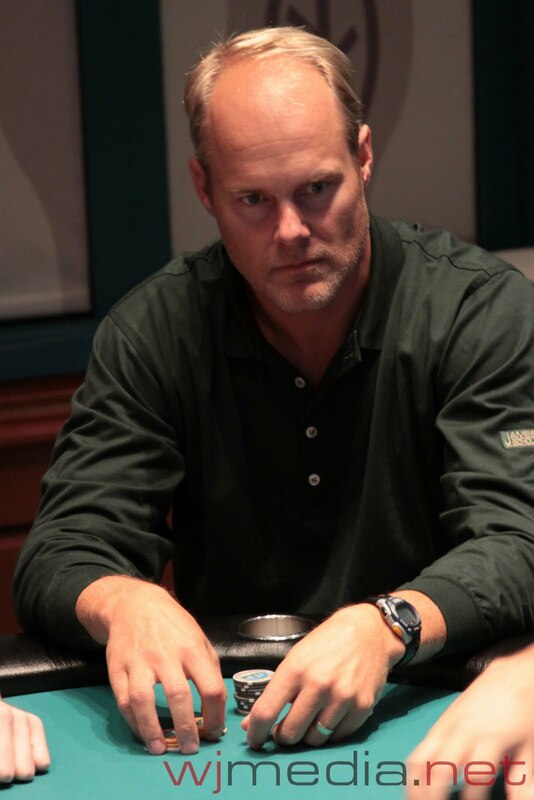 Player have a partner and take turns playing the Limit Hold 'em and Limit Omaha rotations. Pairs start with 5,000 in chips and the levels are 40 minutes in length. Final Two Tables of the $2,500 NLHE Event! We are down to the final 20 players in the $2,500 No-Limit Hold 'em event. The final 15 will finish in the money. Three-time WSOP Circuit Ring and WPT winner Dwyte Pilgrim has been eliminated from the $2,500 NLHE event in 26th place. He was crippled when his A-J failed to improve against his opponent's pocket sixes. Kyle Loman finally knocked him out with A-4 against Pilgrim's 8-2 in a blind vs. blind match-up. The featured table of Day Two of the $2,500 NLHE event is now streaming live. Just click "Watch LIVE Video" at the top of the page. The table features Dwyte Pilgrim and Kyle Loman. There are 28 players remaining. 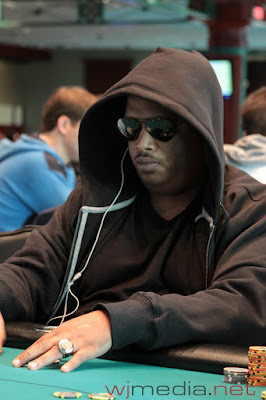 We had a total of 254 players in the $1,000 NLHE Event at the Foxwoods World Poker Finals. The $1,000 No-Limit Hold 'em event at the Foxwoods World Poker Finals is now underway. 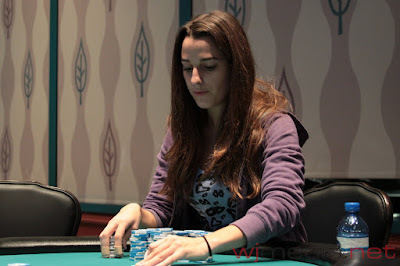 Players start with 12,000 in chips and the levels are 50 minutes in length. Mary Cronin Wins the Ladies Event! 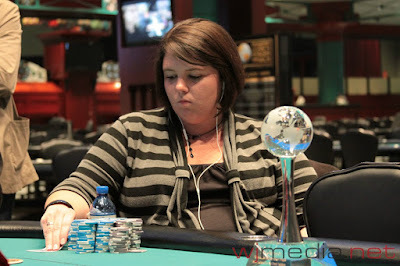 When Mary Cronin and Megan Milburn started heads-up play, Milburn had only two big blinds. In less than ten minutes, the two players were back to even in chips and agreed to each lock up $14,000 and play for the remaining $1,400. 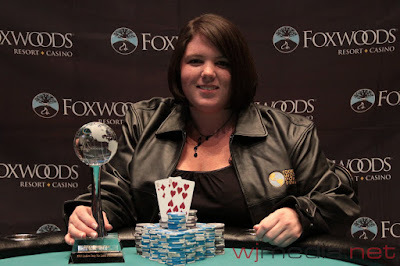 Mary Cronin ended up taking down the victory to win the trophy, jacket and $15,436. Photos: Heads Up in the Ladies Event! Play has come to an end on Day One of the $2,500 NLHE event with 28 players remaining. Jacob Bazeley is the current chip leader with 139,000 in chips. Play will resume at 2pm on Sunday where we will play down to a winner. 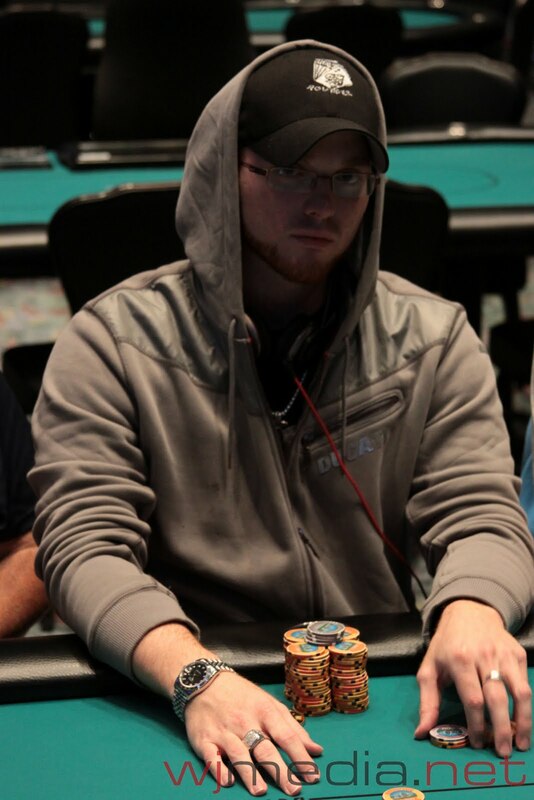 The $2,500 No-Limit Hold 'em event is down to the final 31 players.